When we lather up in the shower or apply skin cream to our face, we think we are using something that is healthy for us. Or at least safe. 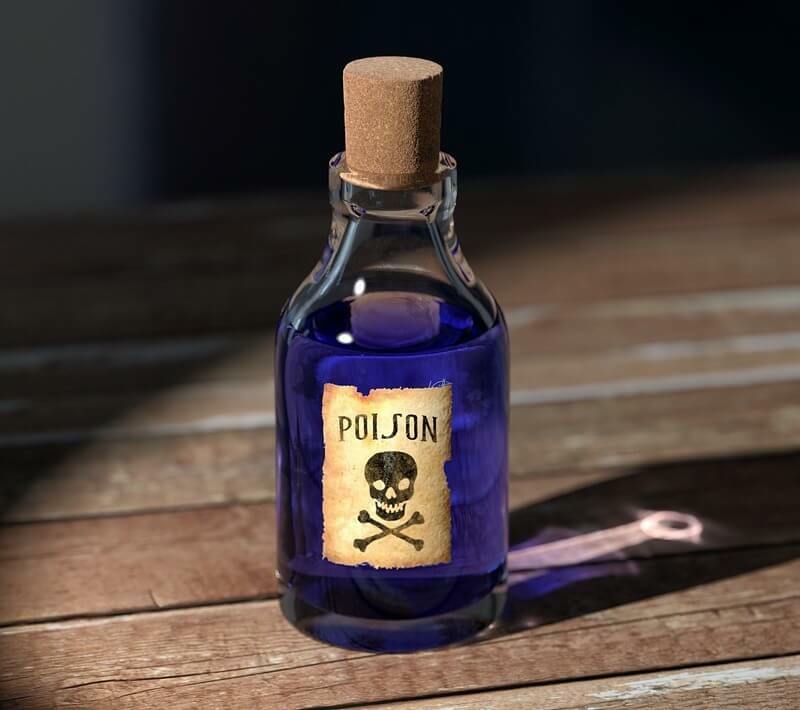 So for many of us, it would come as a shock to realize some of the most toxic chemicals in our homes, just dripping with known carcinogens, are hidden in our bathroom cupboards. Why are Known Carcinogens in Bathroom Products? How Much is Too Much for the Human Body? Anything that leads to cancer is a known carcinogen. (1) This could be drugs, energy, or pollutants in the environment, additives in food or cosmetics, lifestyle factors such as nutrition and physical activity, and even some medical treatments such as radiation therapy. This may seem simple enough; however, it is not so cut and dried. As you may have already deduced, almost every substance tested falls in the middle categories, Groups 2A, 2B, and 3, or Groups B, C, and D. Just over 100 substances ever tested have been listed as known carcinogens. Other groups such as the California Environmental Protection Agency (CalEPA) and the National Toxicology Program (NTP) list only known or suspected carcinogens and seem to be somewhat more rigorous—they have listed significantly more carcinogens to the benefit of consumers everywhere, at least 250 substances. (4, 5). Clearly the tests used to fit into these categories varies widely. The international community has higher standards yet—many ingredients considered safe for use in US cosmetics are banned in Canada, the European Union, and Japan. This suggests the need for a closer look at the potential harm, the tests that support safety, and the reasons other governments are protecting their citizens from products we glibly apply to our bodies and our children’s bodies daily. Until the standards in the US change, it is wise to do some research ourselves. Any of the above ratings at minimum indicates the substance has been suspected of causing cancer, and any rating that does not completely clear away the doubt means it is too risky to continue exposing your body to potential harm in exchange for the dubious benefit of smoother, more beautiful skin; shiny, manageable hair; or really great-looking nails. Why Are Known Carcinogens in Bathroom Products? When “Just Skin Deep” is Deadly! Does skin absorb enough known carcinogens to really matter? Actually, skin is your largest organ, and it does absorb a lot. Absorbency is not really the problem. Permeability is. Your skin is permeable, meaning it not only absorbs substances it contacts, it also allows them through the skin and into other tissues, such as the subcutaneous fatty layer. Because many known carcinogens are fat-soluble, this presents a huge problem. People are increasingly aware that skin is more like living fabric than living plastic wrap. Doctors prescribe transdermal patches to distribute some medications without stomach upset or to ensure a continuous dose over time, as the patient’s skin will slowly absorb the medicine through all its layers and into the tissue beneath. Unfortunately, beneficial medications are not the only substances that can travel through the skin into the body. Harmful ingredients in anything we touch may travel in just as readily. Skin is VERY absorbent and permeable, but it is not the only inroad for known carcinogens in your body care products. Many contain fragrances and solvents to help the fragrances become airborne, so you inhale them more readily. Lung irritation is a real risk when considering body care ingredients. The lovely scent you inhale may enter through your lungs, but cause inflammation throughout your body. If you are a mother, remember, what touches you touches your baby. Pesticides, phthalates, and UV filters or other known carcinogens from sunscreens were found in high concentrations in human breast milk from the mothers’ use of cosmetics—many in concentrations above the “safe” limit for adults! (6) This is just what was found in the mothers’ milk, without the more direct connection the umbilical cord would provide during pregnancy. Try the garlic test. Don’t just read about it and take my word for it. For a very quick, simple object lesson on the ability of the skin to open the doorway into your entire body, take off your shoes and socks, and rub the sole of your foot with a piece of garlic for a few minutes. Set a timer if you are curious. How long does it take you to taste garlic in your mouth? The average time for this test is 3 – 5 minutes. Garlic doesn’t have any penetration-enhancing ingredients to force it deeper into tissue like many cosmetics, so most of them enter your tissue even faster. These ingredients are not in parts per million (ppm) or parts per billion (ppb) like pollutants in drinking water (See our favorite water filter for solving THAT problem!) or preservatives in food—they are often the main ingredients. Even in products that only use known carcinogens as a preservative or emulsifying agent, the ingredients are present in much higher concentrations than we usually think. For example, the lead in drinking water or the tocopherols in cracker packages are in extremely minute quantities compared to the sodium lauryl sulfate in body wash.
Is it ever safe to apply a chemical believed to be capable of causing cancer to your skin, and hope it does not penetrate in sufficient quantities to harm you? When dealing with known carcinogens it seems common sense to err on the side of caution but that’s not how large corporations think. Most substances are cumulative if they have been adulterated. Our bodies are designed to ingest, absorb, utilize, and excrete many beneficial foods, drinks, and even body care aids without any detrimental effects. The trouble comes when we alter natural substances too much—we want to preserve ingredients beyond their pre-programmed time for decay, we want to make colors brighter and scents more powerful, we want soaps to foam like a science experiment, we want anti-aging creams to penetrate through our skin and work miracles, we want shampoos to strip every trace of natural moisture from our hair, and we want conditioners to replace the stripped oils with synthetic ones. All of these unnatural wishes yield unnatural consequences, and unnatural consequences tend to be cumulative—that is, they add up in our systems over time. It is difficult for our bodies to excrete the carcinogenic ingredients, and it is difficult to heal the damage they cause—it all keeps adding up. Allowing your body time to detoxify itself, or using essential oils to boost the detox process, can be helpful. But minimizing your exposure and choosing healthier options is vital. Many known carcinogens are fat soluble, so the protective hypodermis—the subcutaneous fat layer—fails to protect us. Our skin’s innermost layer is a layer of fat that protects us from thermal shock and other harm. Unfortunately, in the case of fat-soluble carcinogens this protection backfires. If the ingredients penetrate through the upper skin layers—usually with the addition of penetration enhancers which are frequently fat-soluble—it is readily absorbed into our own tissue where it does much unintended harm. How much cancer do you want? How will you decide how much is too much when considering exposure to known carcinogens? Is even a very small amount of mercury acceptable in your child’s dental filling? How much formaldehyde do you want to absorb? What is a tolerable amount of coal tar in your daughter’s lip balm? Or how much cancer risk would you like to invite into your life? Formaldehyde (and formaldehyde releasers such as: bronopol, DMDM hydantoin, diazolidinyl urea, imidazolidinyl urea, and quaternium-15) is classified as a known human carcinogen by both the IARC and the NTP. (1, 2) This is the product used to preserve bodies for scientific research—how can it possibly belong in your cosmetics? It is frequently included as a preservative in nail polish, shampoo, hair conditioner, baby wash, body wash, facial cleansers, and eye shadow. Sources of phthalates include anything packaged in flexible plastic containers, perfume, deodorant, hair spray, shampoo, soap, and lotion, as well as nail polish and nail care products. (10) Phthalates are also included in most fragrance blends since the public is increasingly aware of the harm they cause, and since cosmetic manufacturers are not required to list the individual ingredients in their fragrance blends. Parabens lower sperm count and are associated with male infertility. (17) Parabens demonstrate similar hormone disrupting and carcinogenic activity in the environment as they do in human health. (18) Parabens alter maternal (and thus infant) hormone levels during pregnancy. (19) Parabens are used as synthetic preservatives in cosmetics such as makeup, facial cleanser, body wash, deodorant, and shampoo. Even the earliest versions of these artificial colors were based on coal tar, and some more recent ones are petroleum derivatives. All lakes (FD&C Blue Lake 1, for example) are processed with 2 forms of aluminum. By law, any coloring agent of any nature with any ingredients (except the 11 cosmetic ingredients already banned in the US) may bypass the regulatory process if the manufacturer claims it is added for a purpose other than coloring. Toxic dyes that are banned for food use are exempt from regulation if used as hair dye despite the fact that the scalp is both more sensitive and more porous than skin in general. FDA approved dyes have been proven to cause acute illness in children since 1950. Due to the adverse effects of coloring agents listed as safe, a law prohibited permanently listing any color as safe; however, that practice has been gradually phased out, and now almost all colors including lakes are permanently listed as safe meaning a huge legal uproar would be needed to remove a listed coloring. Some are listed as likely carcinogens. (2) Fragrance blends can be found in every type of cosmetic and body care product imaginable, and although fragrance-free options are increasingly available, almost all body care products contain artificial fragrance. The phrase “fragrance” on the label could be any one of over 2,000 chemicals and you’d never know it! Pesticides are commonly used in grass and weed killers. But did you know they may be lurking in your favorite cosmetic and body care products? Pesticides are often present as contaminants in any product containing rice (extracts, bran, starch, etc. ), cottonseed oil or meal, corn and soy products of any kind, and even oatmeal products. See toxic free alternatives for weed killers and pest control that we use to avoid these chemicals. A pregnant mother who simply breathes the fumes may cause reproductive harm to her baby. (38) Toluene is derived from petroleum and coal tar and is used to manufacture benzene (another known carcinogen), and in nail polish, nail treatments, hair coloring, and hair bleaching products. Propylene glycol toxicity is not uncommon in body care products and carries a host of severe health consequences. (44) In addition to direct risks of propylene glycol, it is a sensitizer, meaning it makes the skin and surrounding tissue more likely to react badly to other substances. Be sure to avoid propylene glycol in sunscreen, moisturizers, lotions, makeup, and hair products. Remember the BPA scare that resulted in the mass replacement of all things plastic due to its endocrine disrupting, estrogenic, cancer- feeding activity? BPA is just one of the alkylphenols, namely bisphenol A (BPA) which has now been replaced with bisphenol S (BPS) which is just as estrogenic as BPA. (46) Don’t settle for BPA-free plastics—read labels to ensure any plastic you buy is entirely alkylphenol-free. Sunscreen chemicals have a variety of label names from similar chemical families – you might see benzenes, benzophenone, PABA, avobenzone, homosalate, methoxycinnamate, oxybenzone, octisalate, octocrylene, and octinoxate. What we are seeing is that despite nearly universal use of sunscreens and the presence of sunscreen active ingredients everywhere (including in human urine) malignant melanoma continues to increase. Since this is the very condition that sunscreens are purported to prevent studies have now been done investigating the role of sunscreen active ingredients in this apparent paradox. Findings show now that these toxic ingredients do actually increase reproductive and developmental toxicity and disturbance of the hypothalamic-pituitary-thyroid axis. (56) Numerous researchers have investigated the use of sunscreen and its correlation with incidence of skin cancer; their findings indicate that some types of sunscreens can increase the risk of cancer. (57, 58, 59) There’s a reason we make our own sunscreen for our family! These products contain high levels of dangerous ingredients, contain some of the most harmful carcinogens, or numerous known carcinogens, and offer little benefit in return. Nail polish and other nail products are far worse for your health—and your daughter’s—than you may believe. They combine nearly every known carcinogen listed above in one bottle—at minimum toluene, formaldehyde, synthetic color, and many more. Even the 3-free brands (or 5-free, 7-free, etc.) contain numerous seriously harmful ingredients, many of which have long been known to cause cancer. Now, more than ever, it is important to send a message our young women that they do not need to paint themselves to be beautiful, especially when so much permanent endocrine damage is likely. Sunscreen and sunblock—with estrogenic ingredients, preservatives like formaldehyde, BPA or BPS in the bottle, and synthetic color and fragrances, most of the available commercial, chemical sunscreens pose significant risks. Add to that the fact that they may cause the very cancer they are meant to prevent, and it only makes sense to seek non-toxic alternatives. Anti-bacterial hand washes, hand sanitizers, and cleansers are among the worst, especially those marketed for use by children. They generally contain Triclosan or a substitute, SLS/ SLES, phthalates, parabens, and formaldehyde, and are packaged in bottles made of alkylphenols, BPA or BPS. In addition, there is no evidence of benefit and are creating dangerous strains of antibiotic resistant bacteria making them something to avoid whenever possible. If you’re feeling overwhelmed by the sheer volume of poison all around you, rest assured that there are safe, effective alternatives. The best news is that many natural cleansers are multi-purpose, meaning the castile baby soap you just bought to replace your child’s baby wash and shampoo can also be the main ingredient in your body wash recipe, your shampoo base, and even a main ingredient in your laundry soap, dish soap, counter scrub, and surface cleaner! Castile soap—bars or liquid: replace almost any soap or cleanser with castile soap alone or in recipes—gentle, safe, and effective. Apple cider vinegar: this naturally occurring mild acid is great at cleaning many things and is often used as a clarifying rinse. Baking soda: Safe enough to use as a soak or scrub if diluted. Borax? Yes, borax! Prior to the advent of commercial shampoo, most women washed their hair with eggs or borax solutions. Aloe gel—fresh or bottled: very soothing to skin of all types and ages; aloe can replace many lotions and creams, alone or in recipes. Witch hazel: a natural astringent, witch hazel is not as harsh as commercial products with rubbing alcohol, yet still as effective. Avocado: used alone, avocado is a luxurious moisturizing mask. Food grade oils: can be used alone as healing cleansing oils or as carrier oils in recipes to very convincingly replace commercial lotions and creams. Diluted essential oils: essential oils such as lavender, frankincense, chamomile, neroli, rosemary, and oregano can be used for cosmetic or healing properties in conjunction with many natural healing recipes. Flax: soaked in water overnight, flax makes a great hair gel, and ground flax is used in scrub recipes. Bentonite/ French clay: historically, clay masks are a top clarifying and detox mask ingredient for glowing skin. Honey: very healing for the skin and helps promote probiotic activity and reduce acne. Milk: has long been prized for its hydroxy acid; used in milk baths—at least since Cleopatra made milk baths a famous beauty treatment. Fruit acids: mashed, blended, or freshly juiced fruits are natural sources of alpha and beta hydroxy acids; try lemon, apple, cream of tartar (from grapes), or strawberries. Cleaner, safer prepared products: Check with the Environmental Working Group or other watchdog group for scorecards on better options when buying body care items from the store to ensure you don’t become the victim of greenwashing (false or misleading claims about natural or green ingredients)! One of the companies we trust is Annemarie Skin Care which uses only the best, non-toxic ingredients in their products. Try some awesome sample kits by Annemarie Skin Care today! If this seems like too much information, try to improve just one product each shopping trip. You may feel compelled to get rid of all known carcinogens in your products at once and replace them all today! If you’re convinced, go for it, but don’t become overwhelmed. Every small change helps improve your family’s health. Any time Mama Z adds a new recipe to the blog, I will update this database so you can find them all in one place! These recipes will help you avoid toxic body care products and give you the confidence of knowing exactly what’s in the products you’re using. Many of my recipes include variations for simple options made from an all-natural pre-made product that you can add essential oils to. She calls these her “simple essential oil recipes” because there aren’t a lot of base ingredients to purchase and mixing them up is a breeze. Because let’s face it, we don’t always have time to make everything from scratch!